A necessary but unpleasant home maintenance task is dealing with smelly pipes and remedying the problem. 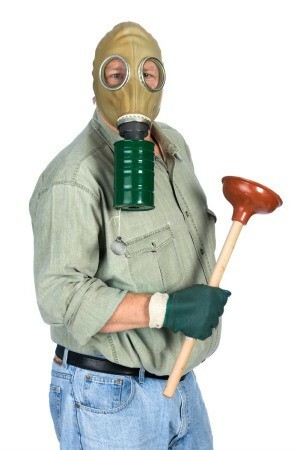 This is a guide about remedies for stinky pipes. The plumber put one trap on two sinks. The piping after the sink and before the trap started to stink. My solution was to place a trap on each sink, close to the sink itself, and pipe the two traps together after the discharge of the traps. Problem solved; no more stinky pipes. I had a problem with the sink and bath, where when you turn the taps on water comes through the bath and there is a smell. I had someone out and they changed my pipes under the bath, but when the working man came and changed the pipes he said the pipes are backwards. After he did all the pipes the water from the sink that went through the bath has stopped. Now I can smell a horrible smell like sewers, but I don't know where the smell is coming from. Any help as to why? You could have some problem with your vents or with the sink traps. However, this is not something that you can fix yourself. Call the plumber again. If you were not happy with the first plumber, get referrals from your friends and neighbours and try a different one. My drains of one toilet and shower smell like cocoroaches always after cleaning with clorox and water cubes. What else to do? WE don't use that bath for showering. I've done a search on Thrify Tips for stinky drain pipes, all I can find is to use vinegar and baking soda. I've been doing that for the last 6 months and it used to work but doesn't anymore. The smell has gotten much stronger and is driving me out of my home. Does anyone have any ideas? Please! Here are some homemade recipes for your problem. Baking Soda Drain Cleaner: If water hasn't backed up yet, pour 1 cup baking soda followed by 3 cups of boiling water down drain. Repeat a few times. Washing Soda Drain Cleaner: If water isn't going down the drain, pour 1 cup washing soda over the drain and let set for awhile to work it's way down. Once clog loosens use the Baking Soda method above. WARNING: Don't overuse washing soda if a commercial drain cleaner has recently been used as tehy will react together. Don't overuse washing soda if you have PVC pipes as the caustic nature can slowly damage the plastic. Each drain in the house (every sink, tub, shower, floor drain) HAS to have a little section of pipe that I believe is called a "S trap". That little "loop" of pipe is constructed so that there is always water standing in the little bottom loop. That water blocks the sewer gas from backing up and entering your home. Often drains that rarely have water run into them will dry out (evaporate) and the sewer gas will come in and stink up the place. Editor's Note: Have you had any experience with stinky pipes? If so, please leave us feedback telling us what you have tried and any advice you might have. I just inherited my family home that had been standing vacant for two years. Every time I run the water in any sink it smells horrible like rotten eggs! Also I've got to get a plumber out today because the seal around the toilet is leaking and also when I run water in the kitchen the bathroom floods so I'm sure that the pipes are stopped up somewhere, possible tree roots because my house is surrounded by trees, there's just such a variety of things that can be going wrong. I've been reading a lot on this subject and I found out that the P traps are very important that they dry out when not used for so long so I found several home remedies involving baking soda and vinegar and bleach comma which by the way never mix bleach and vinegar it causes chlorine gas which is very dangerous, and also something having to do with mineral oil after you rinse your drains with all these things it keeps the water in the P-trap from evaporating so quickly. Basically what I've learned is that it's best to always call a reputable plumber after trying these home remedies especially if a house has not being used in so long because when they sit vacant a million things happen to them, now I understand why the old folks always said if a home isn't lived in for so long it falls down into ruin!